Following are answers to frequently asked questions about credit reports and scores. For additional information about the major consumer reporting bureaus and credit ratings, please see the article links listed below. You can secure a copy of your credit report once a year at no charge by calling 1-877-322-8228 or visiting AnnualCreditReport.com. Be sure to request a report from each of the three major consumer credit reporting bureaus – Equifax, Experian and TransUnion. Since financial institutions and creditors do not always report financial information consistently to all three credit bureaus, your data may vary from one bureau to the next. That’s why you need to check all three reports to ensure everything is accurate and up-to-date. In addition, you can order your credit report from the individual bureau websites at equifax.com, experian.com and transunion.com. Typically, you need to sign up and pay for a credit monitoring or identity-theft protection service to receive a copy of your report. So, take advantage of your free reports before paying for copies. Does my free report include my credit score as well? No. 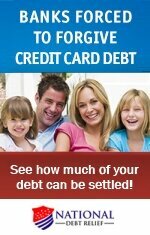 While you can receive free credit reports from AnnualCreditReport.com, this service does not include your credit score. You can get your credit score from EquiFax, Experian and TransUnion , as well as myFico.com, when you sign up for a trial service they offer. Otherwise, you will need to pay a fee to see your score. Review your credit report from each of the consumer reporting bureaus at least once a year. Also, check your credit reports prior to applying for a mortgage or other loan. Remember that the information in your credit report is what lenders use to determine your qualification for a loan and the associated interest rate you receive. 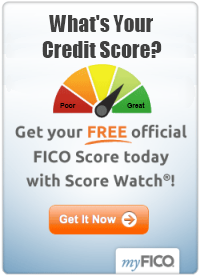 Will ordering credit reports and scores negatively impact my credit rating? No. Any inquiry for informational purposes does not affect your credit score. Information inquiries are made by employers, landlords, insurance providers, and utility companies. However, inquiries for credit verification purposes do have a negative effect on your credit reports and scores. These type of inquiries are made by credit card companies, lending institutions and mortgage companies when you apply for a loan or line of credit. Why does my credit report from each bureau have different information? Your credit reports and scores may vary to some degree among Equifax, Experian and TransUnion, which is why you see different credit reports and scores. This is because financial institutions and credit card companies who report your information may not always submit your financials to all three reporting bureaus. Moreover, each bureau collects, compiles and maintains your data differently, and at different times during the month. And, since the major credit bureaus are competitors, they don't share the data they have with each other. What exactly should I look for in my credit report? Here are some of the key things to watch for when you review your credit reports. What do I do if I find errors in my credit report? Advise the consumer reporting bureau of inaccuracies as soon as you find them. Here is the process to correct your credit report. Make a copy of the page on your credit report where you found the error(s), and circle or highlight each error. Prepare a letter to the corresponding credit bureau where you ordered the report. In your letter, state clearly on a separate line or paragraph each error that you have identified, by referencing it back to the report. Explain clearly, why you think it is an error, and what you think the corrective action should be. Reference any supporting documentation you are including in support of your claim. Include photo copies of all the documents that support your dispute. Do not send the originals. Alternatively, you can file your disputes online. Yet, the Federal Trade Commission recommends using certified mail for credit report disputes. To complete the dispute form online, you will need an identification number located on your most recent credit report. Keep a copy of all your correspondence with the bureau. The bureau is required to forward your letter and all related documentation to the creditor that originally submitted the information to the bureau. The creditor then investigates the dispute. If the bureau finds the information on your report erroneous, your creditor is required to correct the information. The bureau is required to get back to you in writing within 30 days with the results of the investigation. You will also be provided with a free copy of your new credit report, along with the contact details of the creditor who investigated the errors. If the disputed data is found to be accurate, it will stay in your report, generally for a period of 7 years depending on the nature of the item. When do unpaid bills show up in my credit reports and scores? As a rule, if you fail to make a credit card, mortgage or loan payment, it appears on your report after it is delinquent for 30 days. Unpaid utility bills, medical invoices and other charges don’t appear on your credit report until they are sent to collections by the payee. How long do negative entries stay on my report? Delinquencies, charge-offs, and collection accounts typically stay on your credit report for 7 years. Bankruptcies stay for 10 years and credit inquiries stay for 2 years. For more information about bureaus, credit reports and scores, please see the article links below.